Amazing Polish festivals and events 2016! We have prepared a list of the TOP 3 most interesting Polish events 2016. If you’re planning a visit in our country we suggest that you build your trip around one of these memorable parties. Here you will find something for everyone! Running a marathon? We love this idea! And that is why we invite you to take part in the 38th edition of PZU Warsaw Marathon – one of the most exciting events that any of us can experience. When? 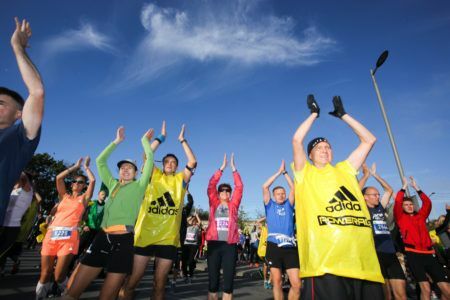 PZU Warsaw Marathon, the largest and the oldest running competitions in Poland, will be held in around 130 days, the 25th of September. This event takes place every year on the last weekend of September and gains high popularity among the people from different countries. Where? 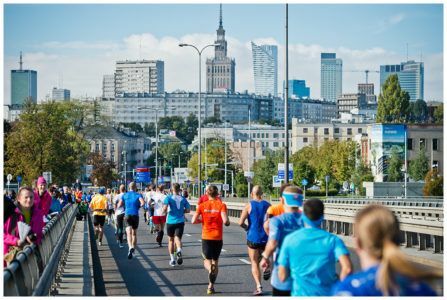 Warsaw marathon takes places in…Warsaw (what a surprise!). The final course is still in preparation but you can be sure it will go through the most beautiful places in Warsaw. it doesn’t matter whether you are 18 or 118 years old – with the right amount of training almost everyone can run! tour to Kraków and Auschwitz in 1 day. Finally! The most important catholic event 2016 – The World Youth Day, initiated by our beloved Pope, John Paul II in 1985 – is coming! When? The World Youth Day will occur from July 25th till July 31st. Where? The event will be celebrated in Kraków. Couple Pass dedicated to the couples. We hope you are satisfied with our propositions. Have a nice stay in Poland!